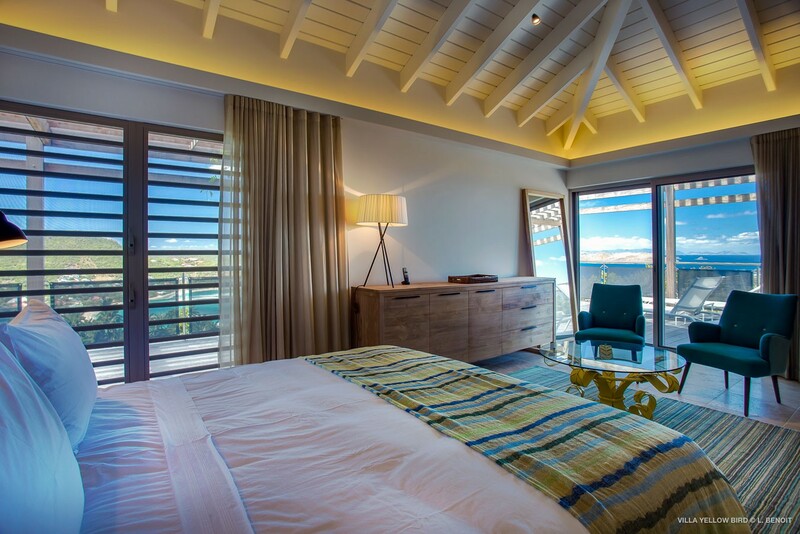 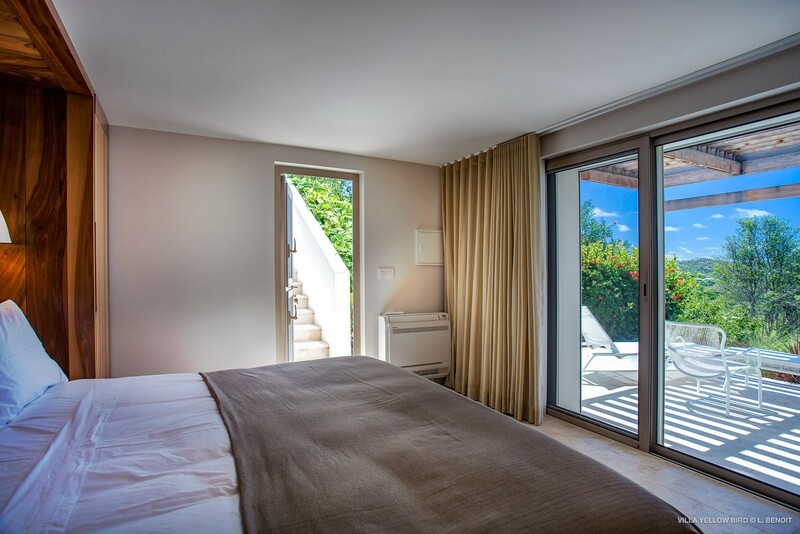 Villa Yellowbird St Barts. 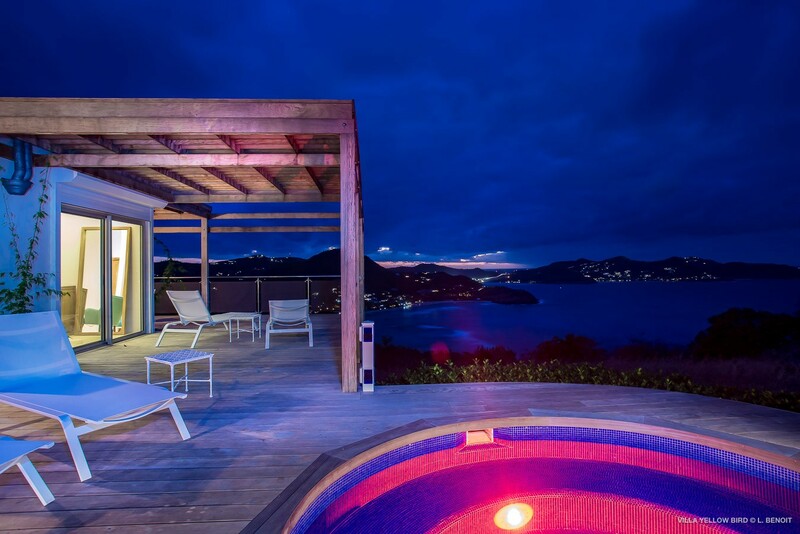 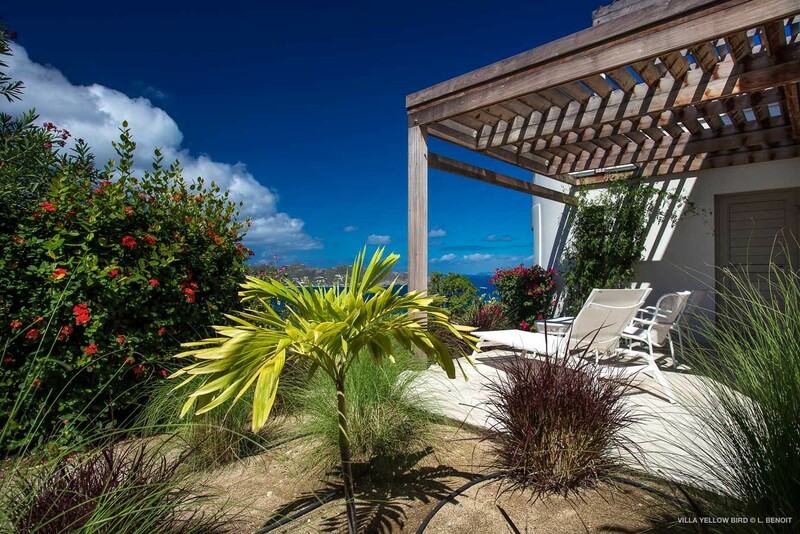 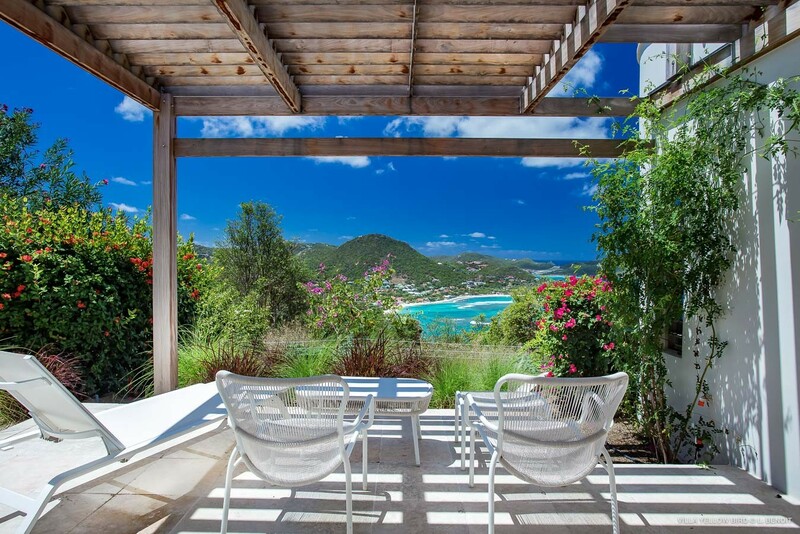 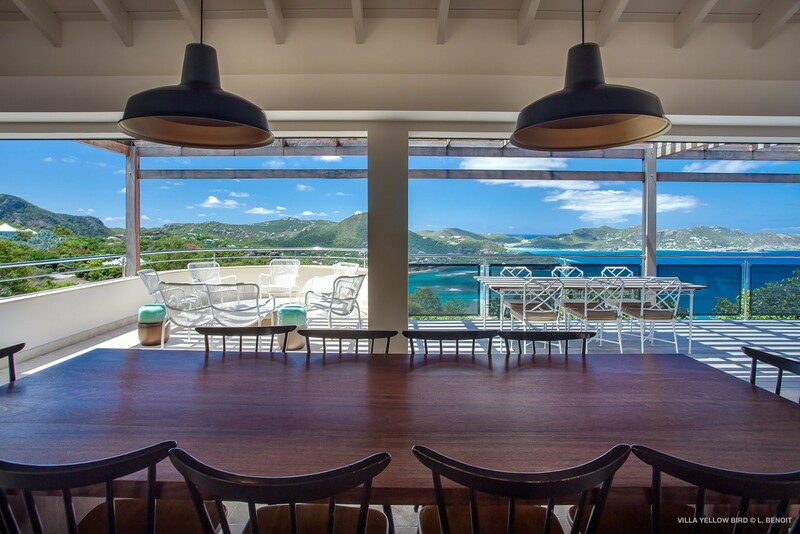 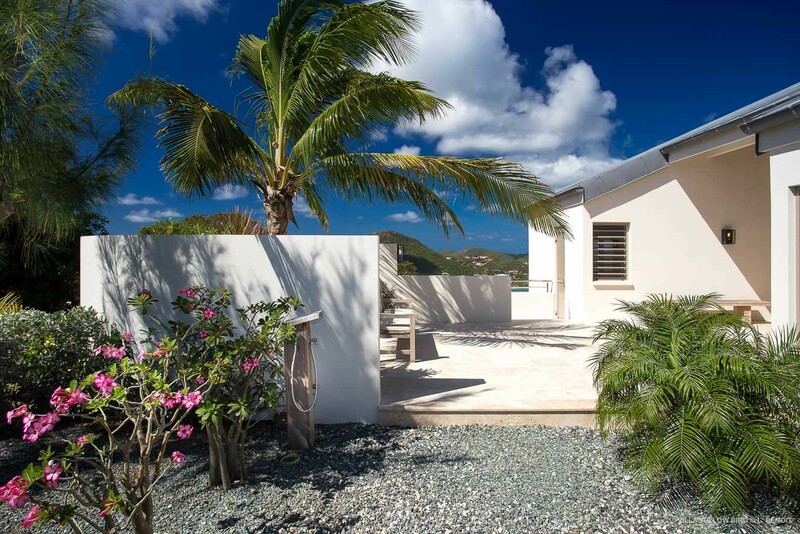 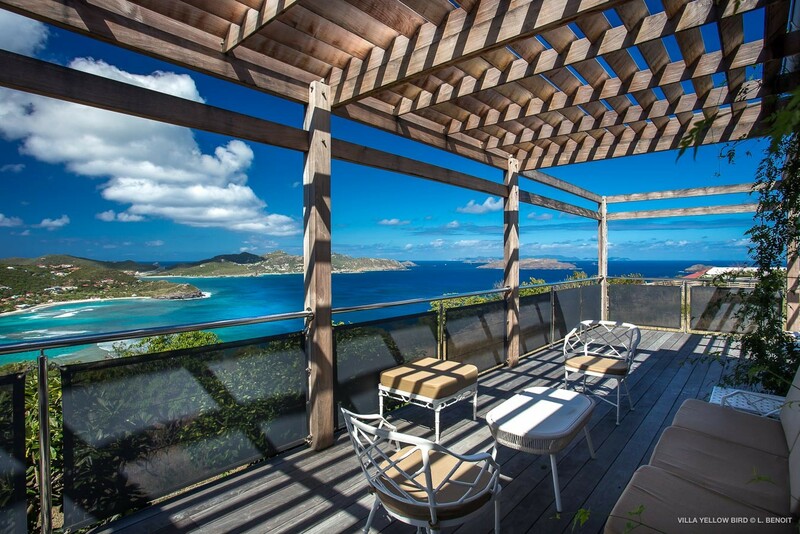 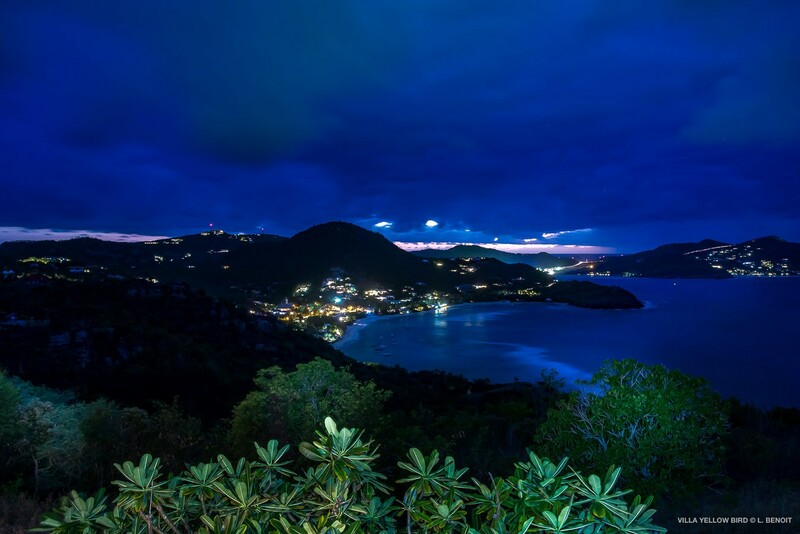 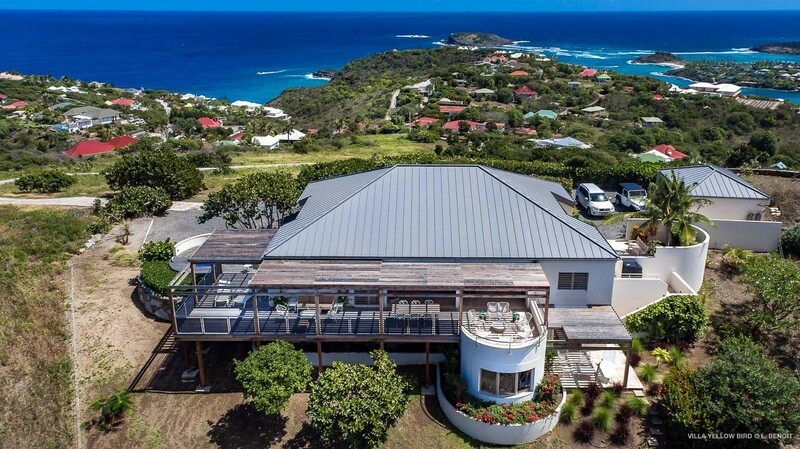 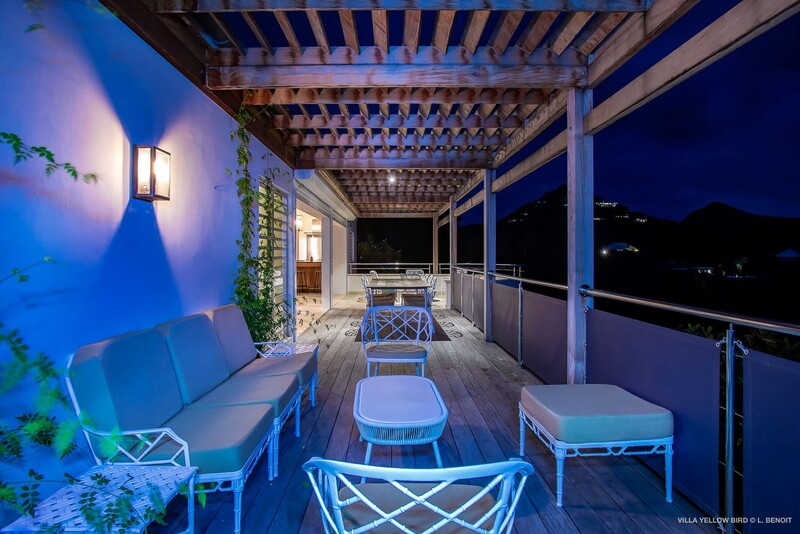 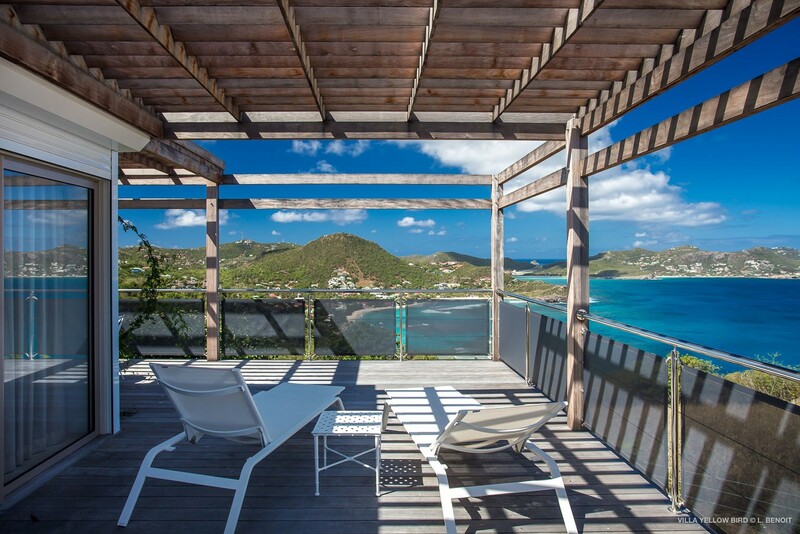 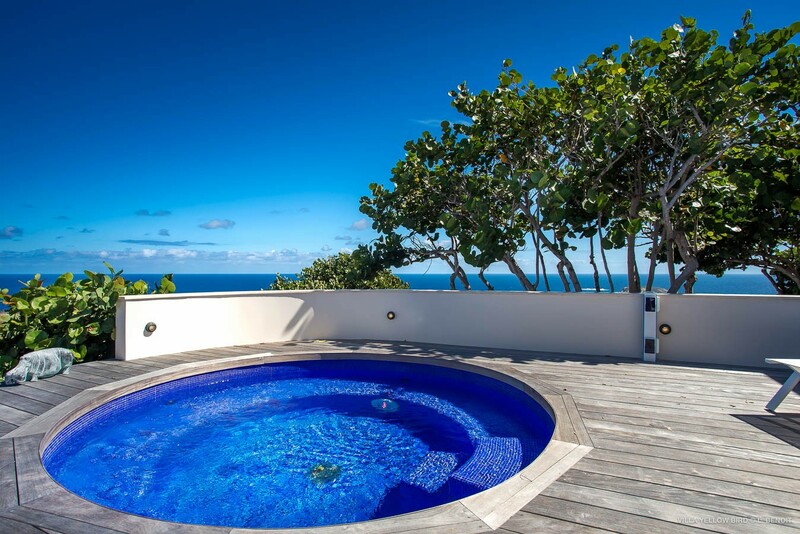 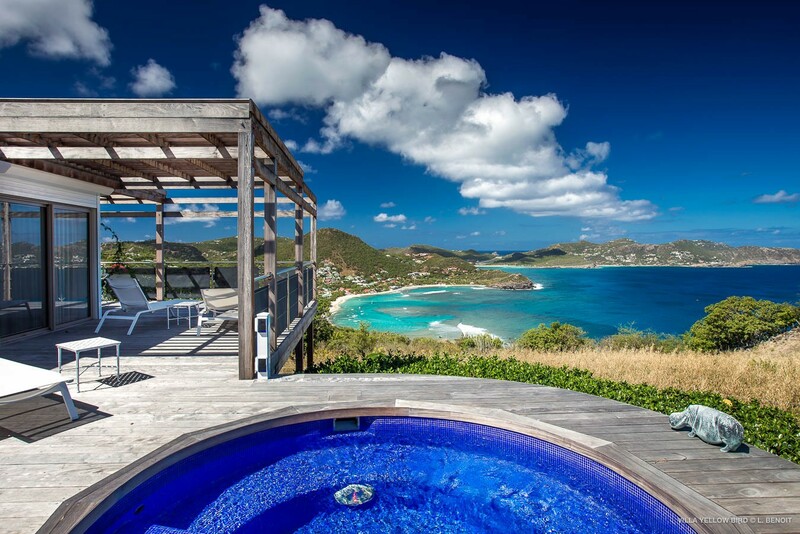 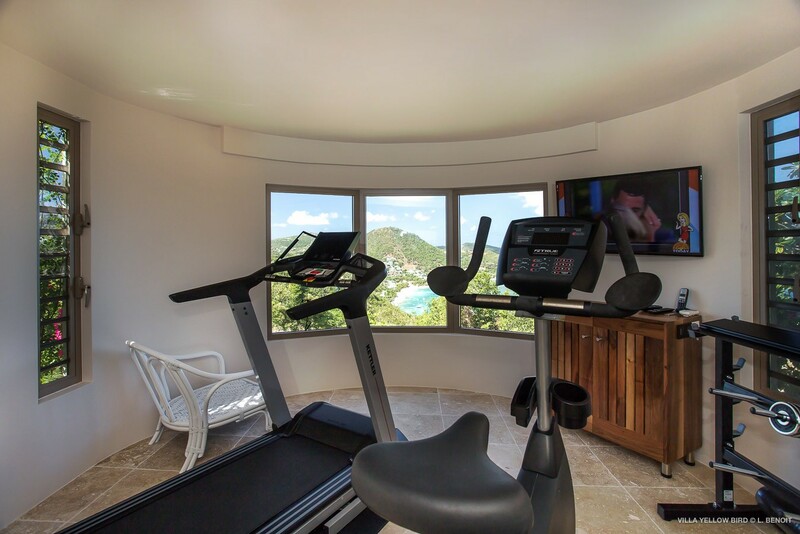 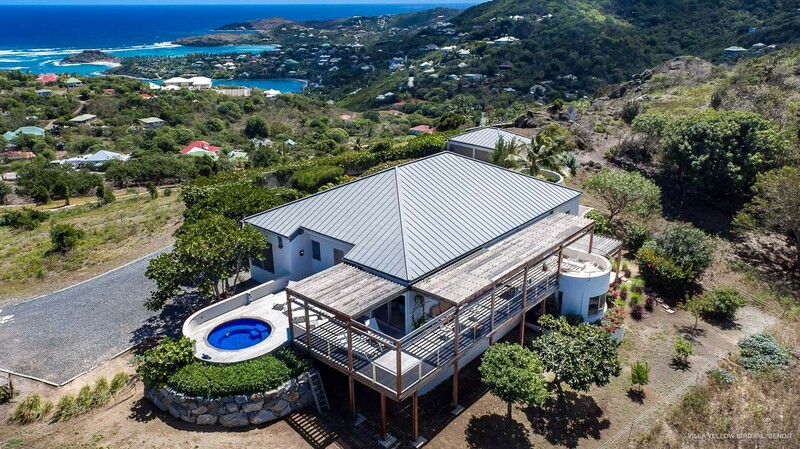 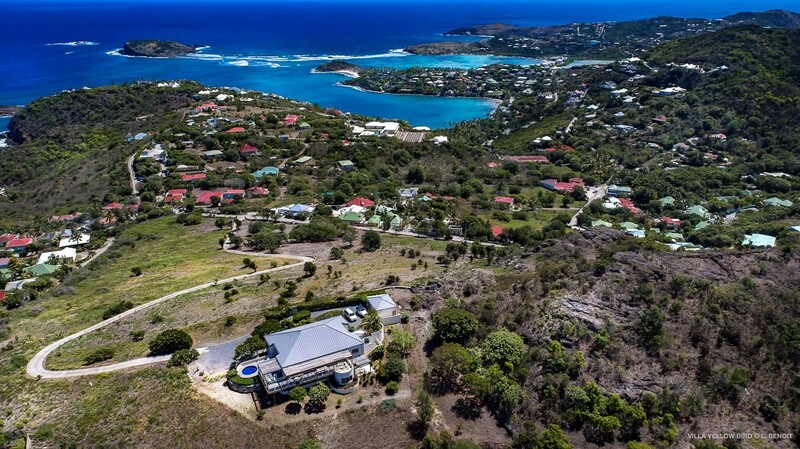 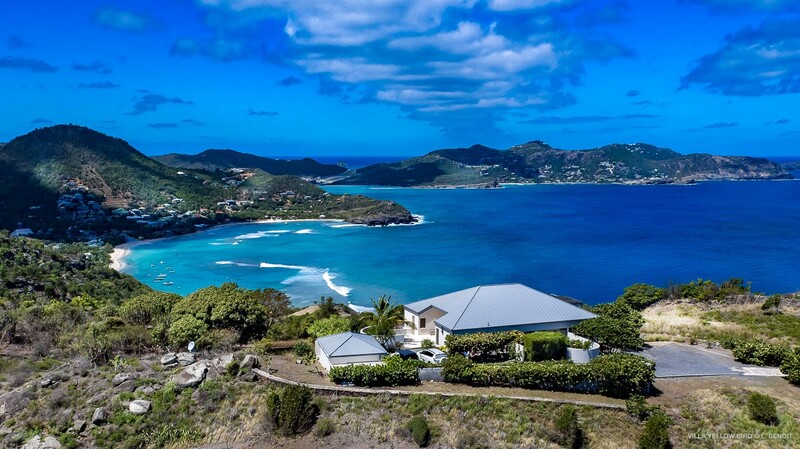 Set on a rise above lovely Marigot Bay on St. Barts, the Villa Yellowbird promises good sunsets and Atlantic views in addition to ample privacy thanks to its garden-like setting. 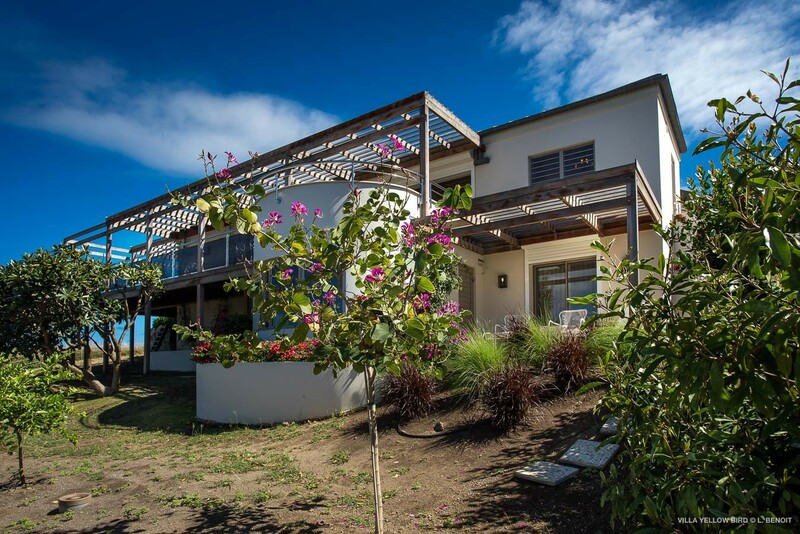 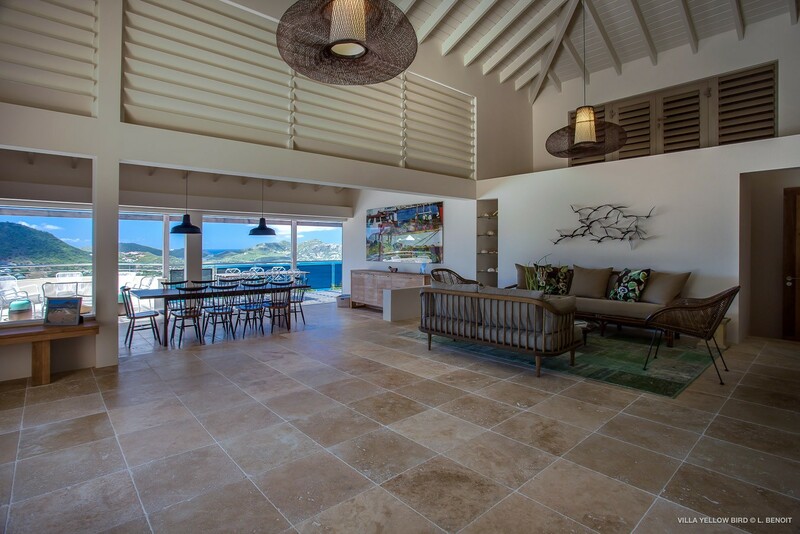 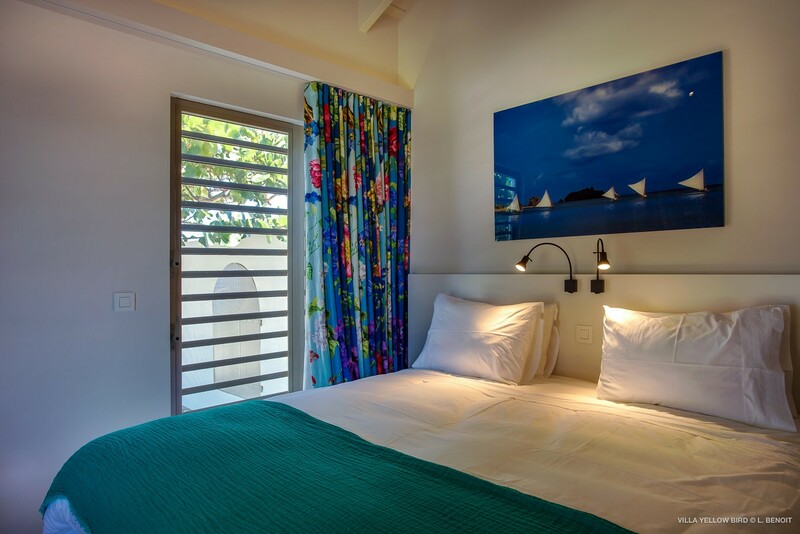 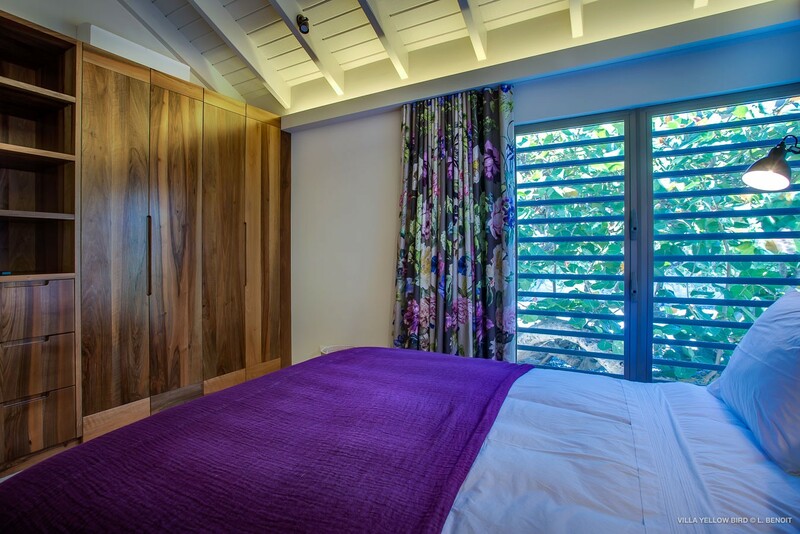 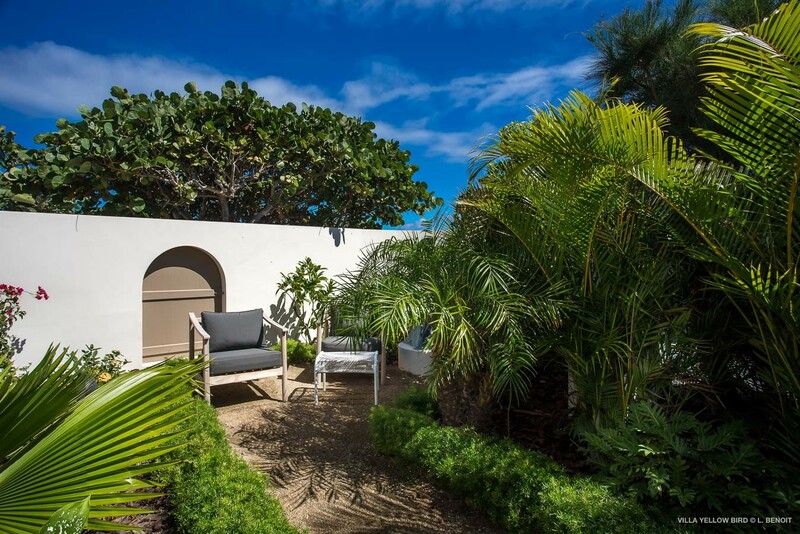 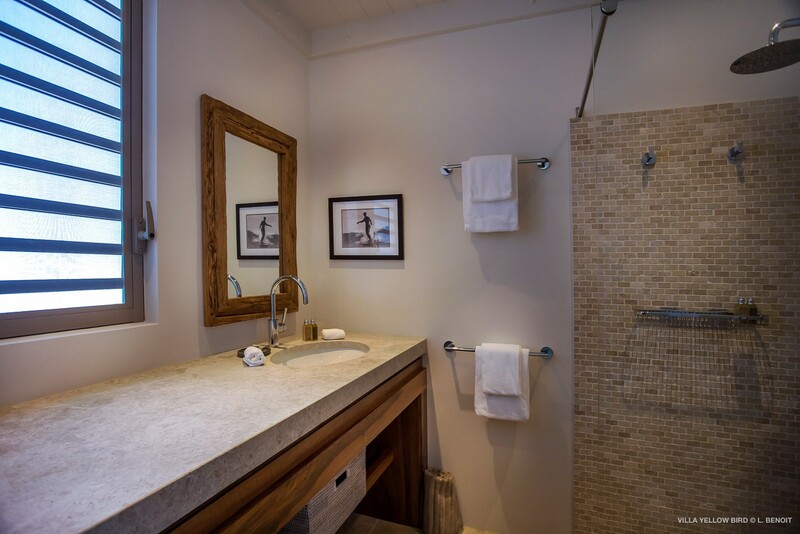 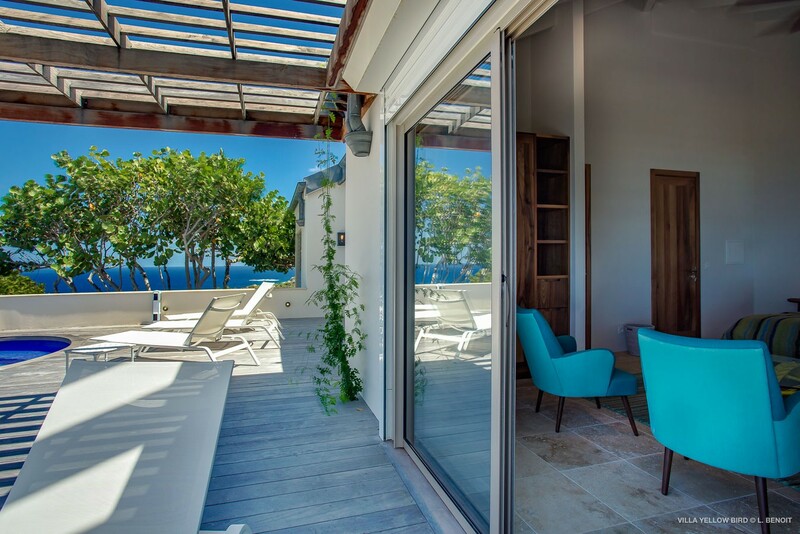 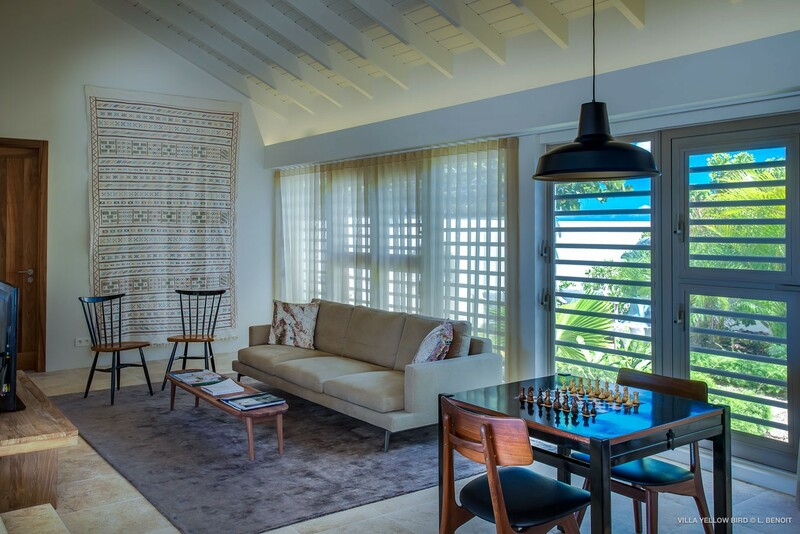 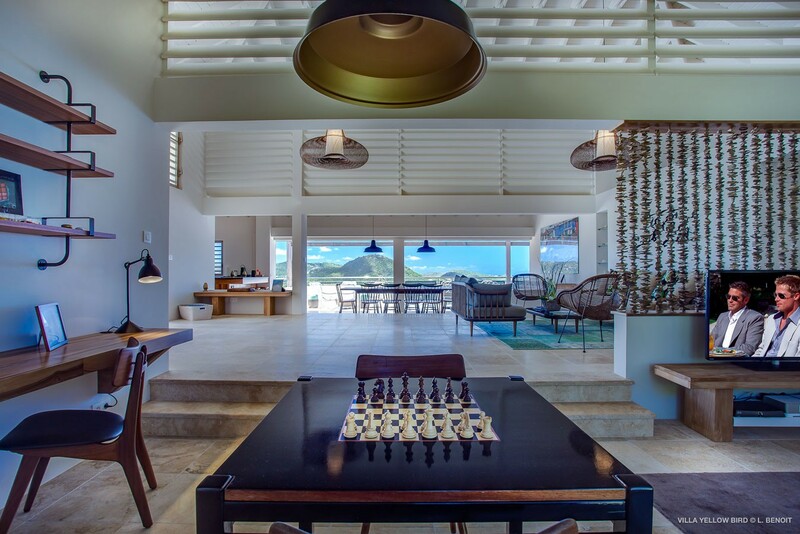 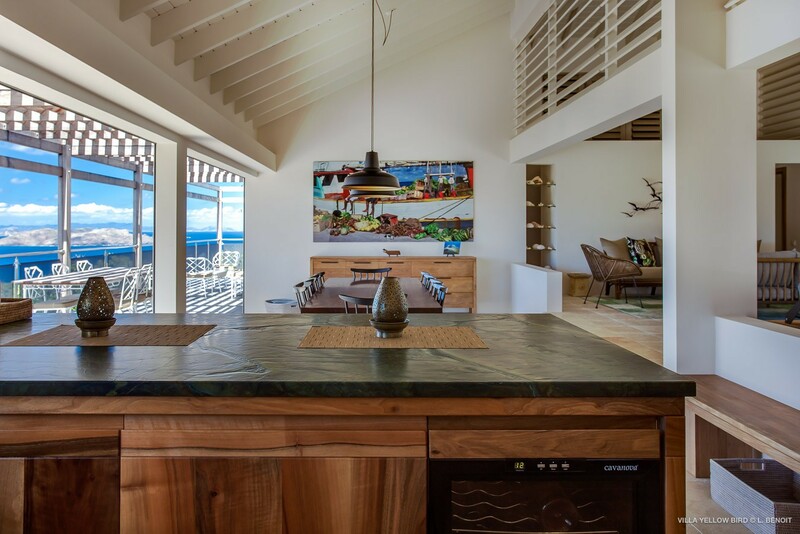 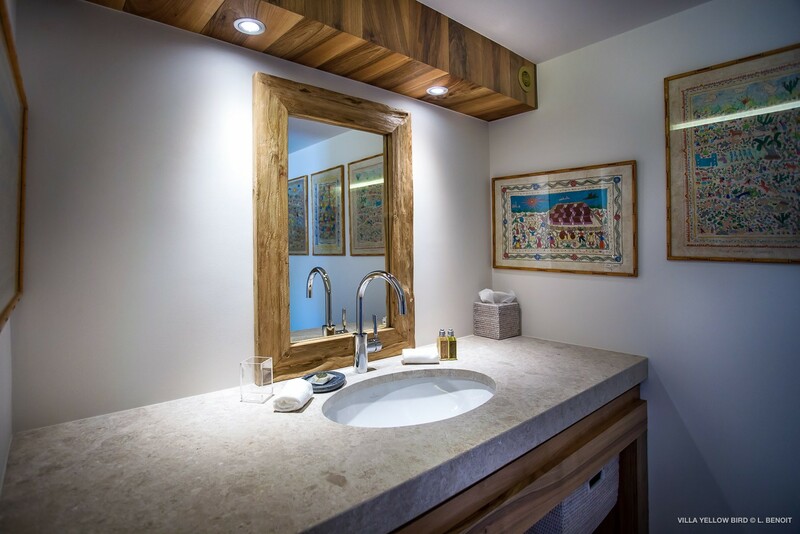 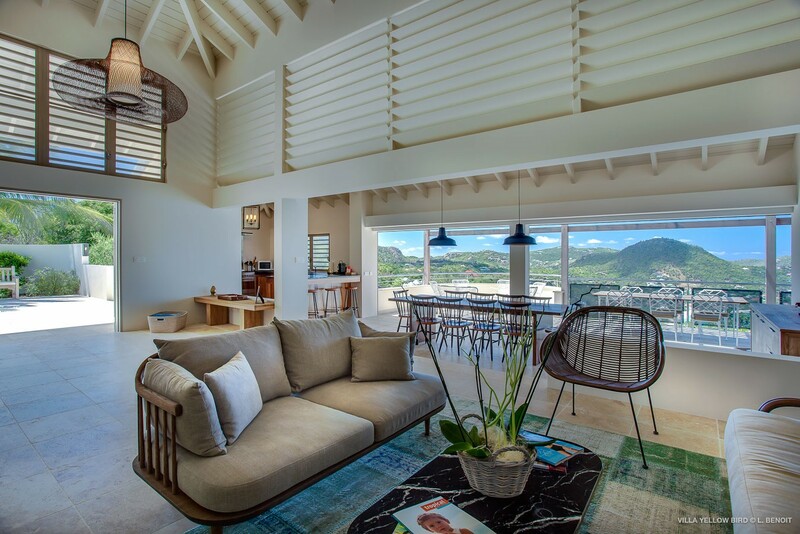 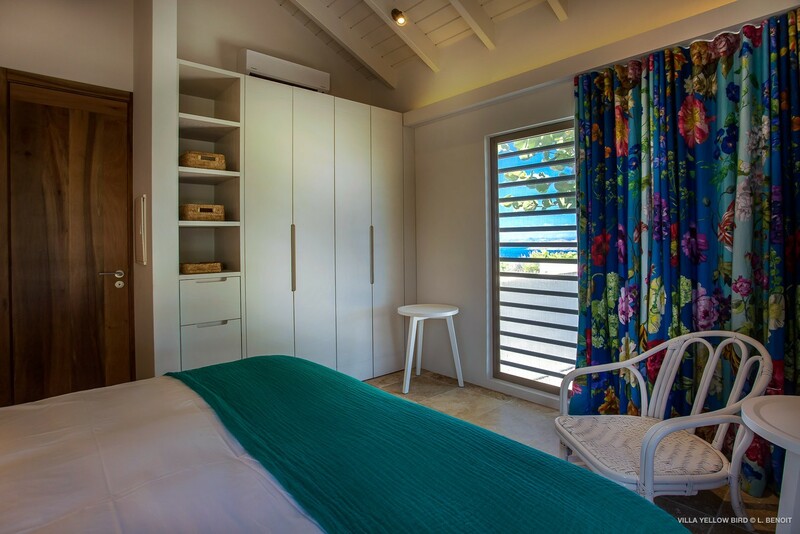 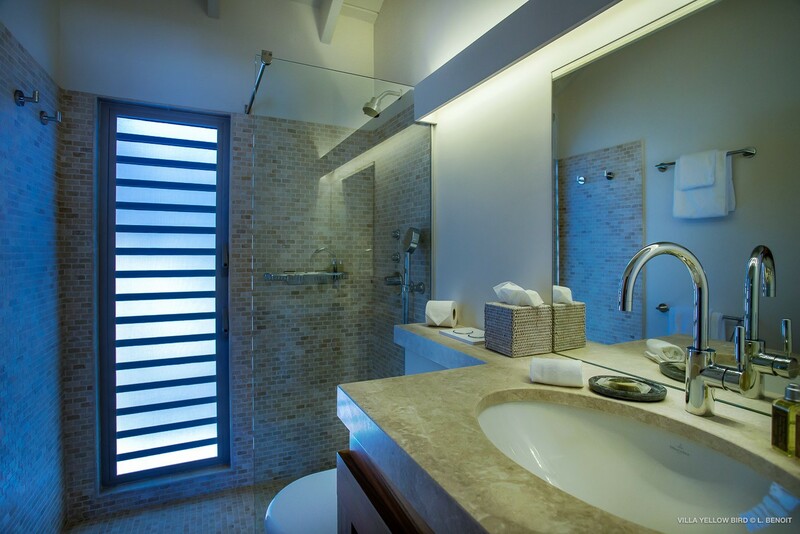 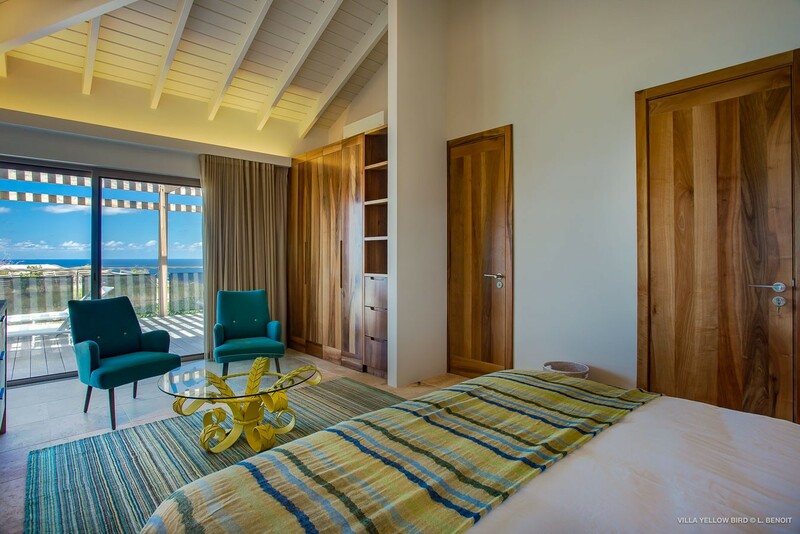 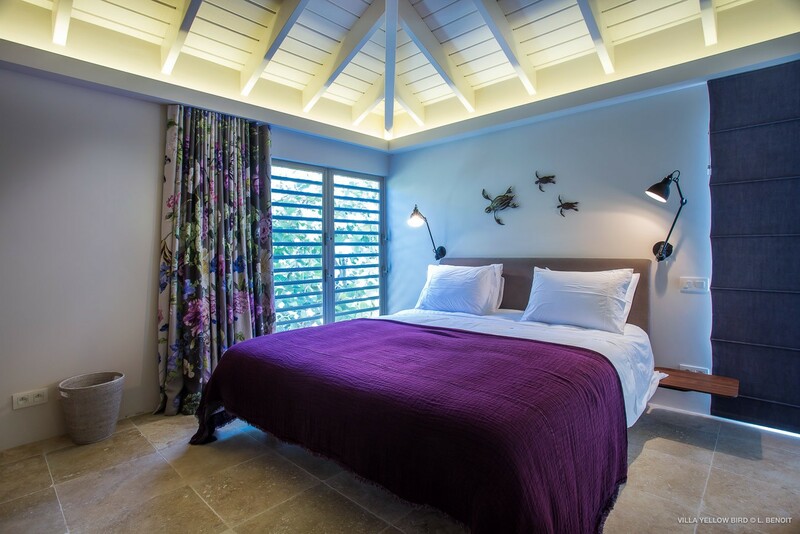 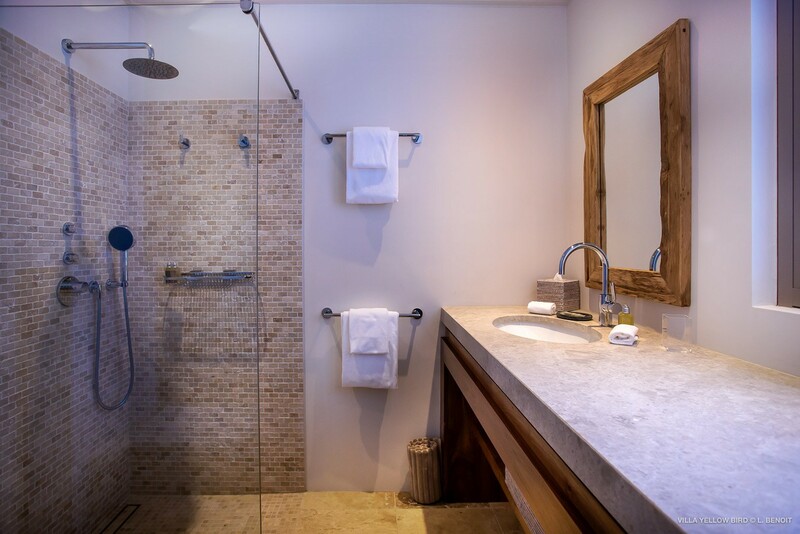 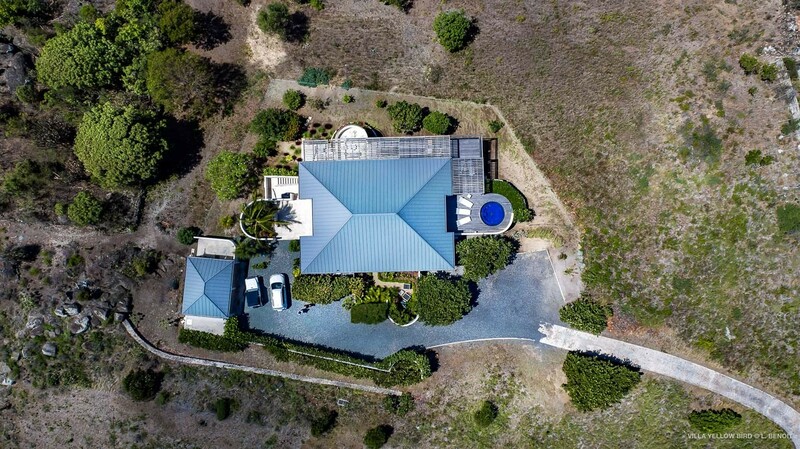 One of the first properties on the island, its lines reveal its West Indian design inspirations, but its fully modernized interiors give it a contemporary charm that will appeal to groups and families of all kinds. 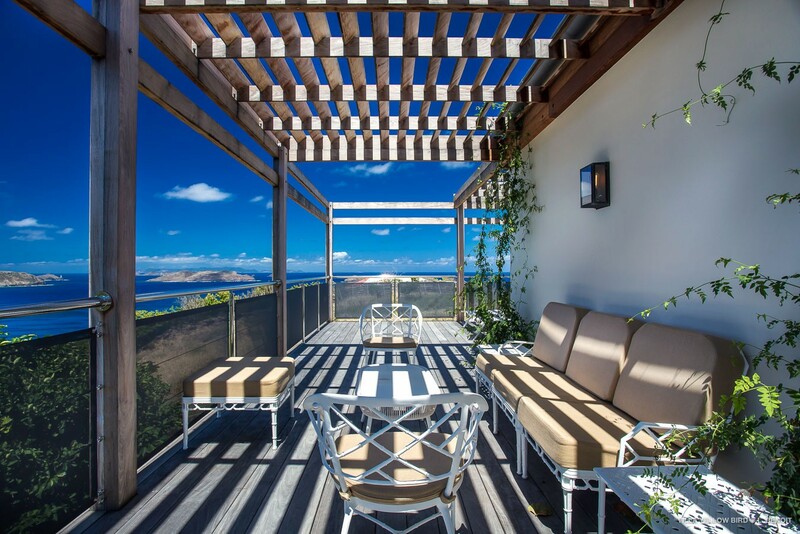 The property is wrapped with a large and expansive terrace that features pergolas to offer midday shade and comfort. 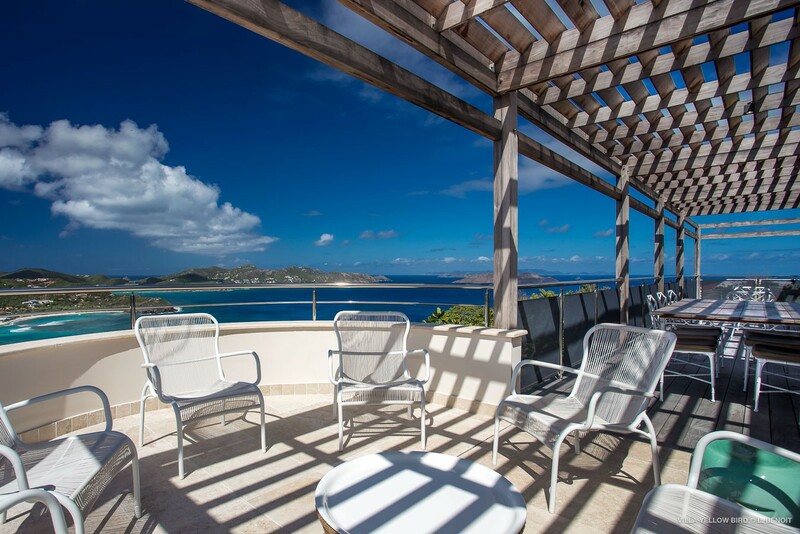 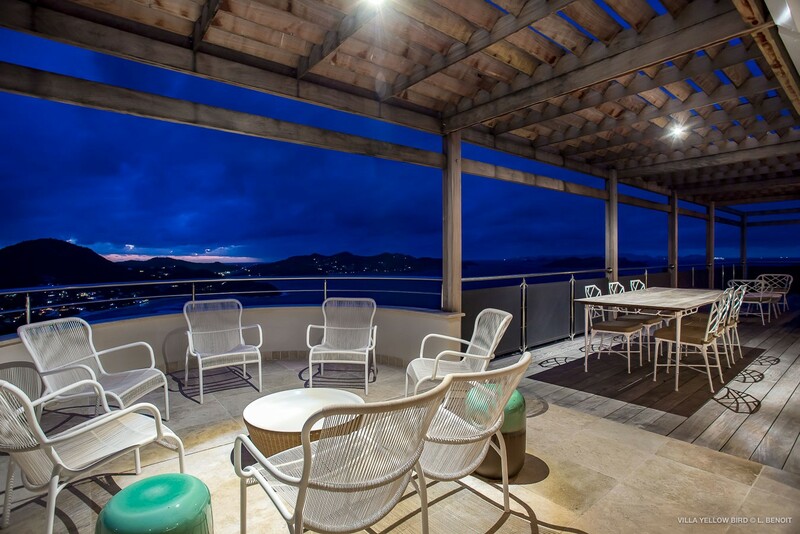 From here you can savor the amazing views and take them in from the lounge area, al fresco dining spot or the sun deck. 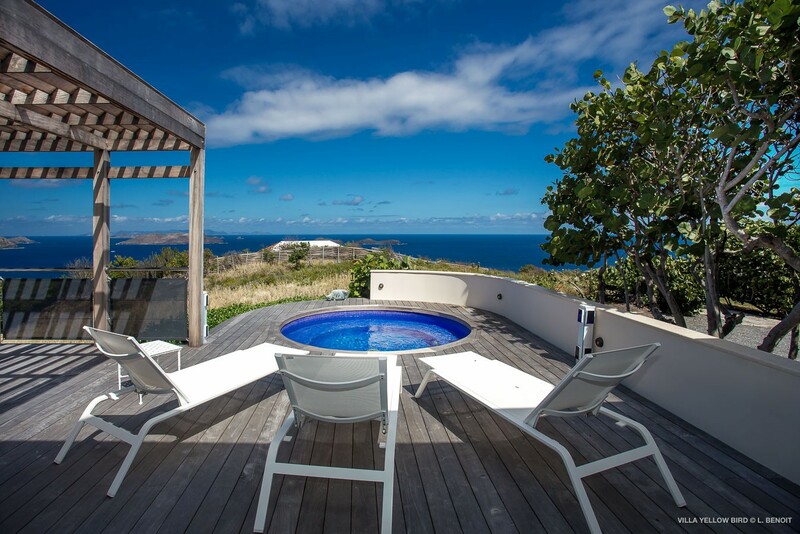 You can also catch plenty of views from the circular plunge pool just off the main terrace running along the front of the villa. 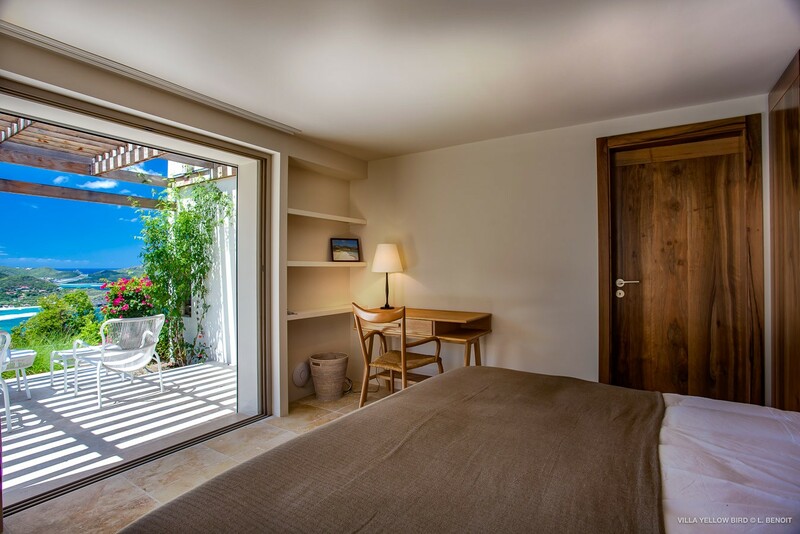 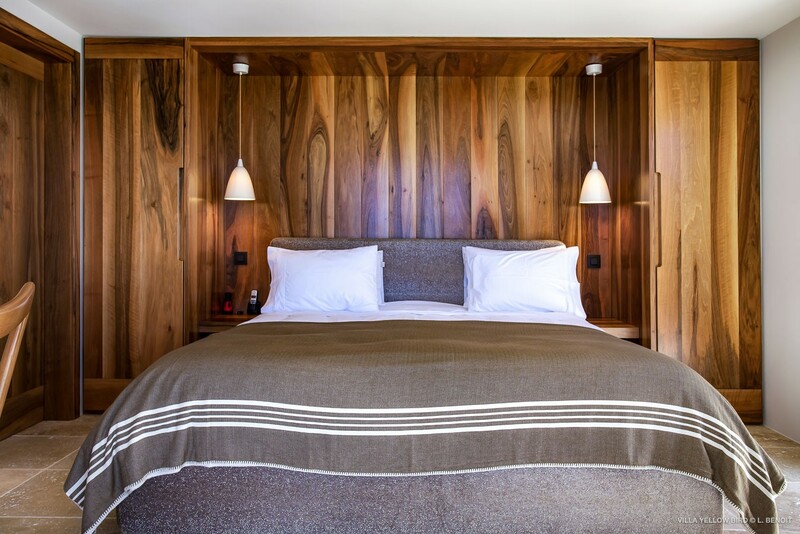 There is also a lower terrace off one of the bedrooms and a rear courtyard that enchants guests upon arrival. 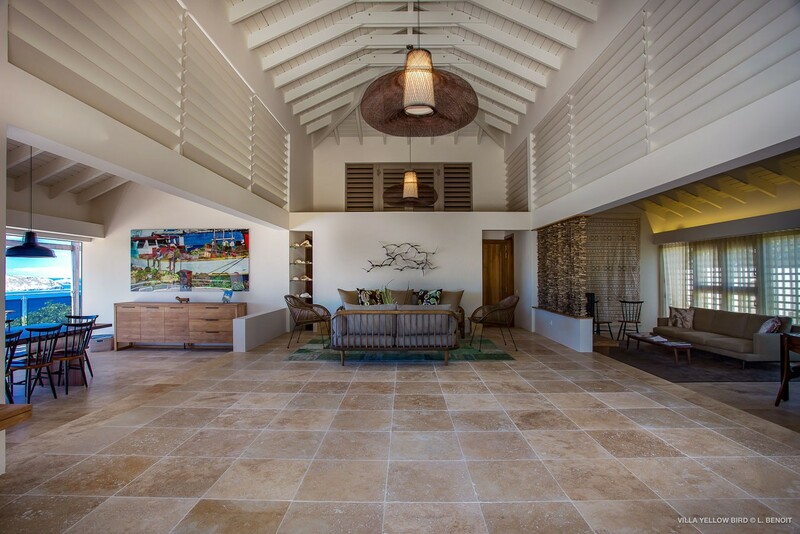 From the upper level terrace, you can enter the beautifully designed great room. 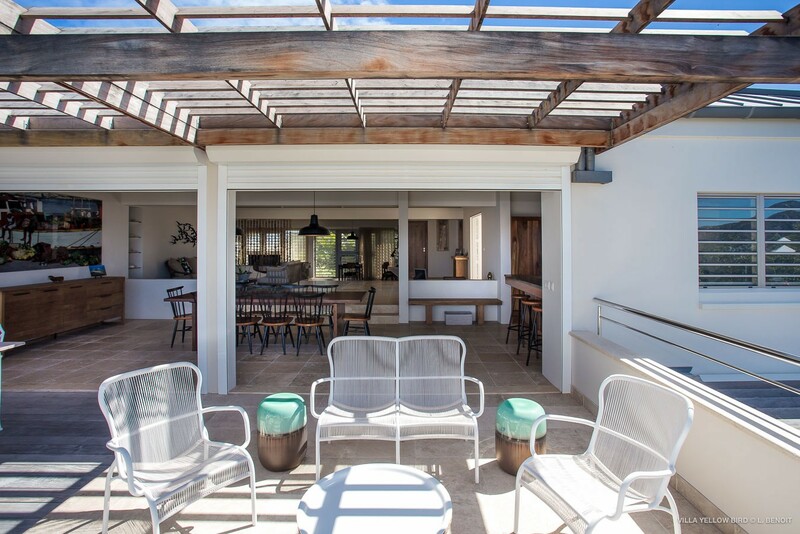 With its high ceilings and cooling terrazzo floors, it manages to capture the light and the sea breezes, bringing them into the open space. 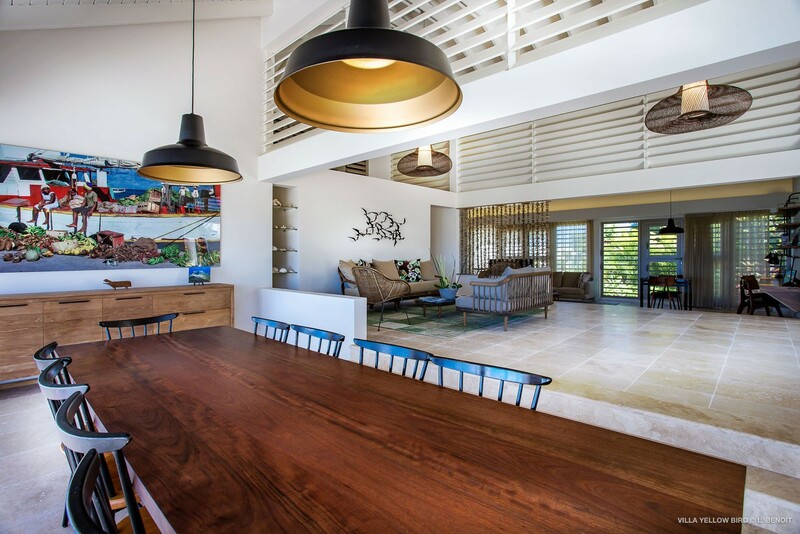 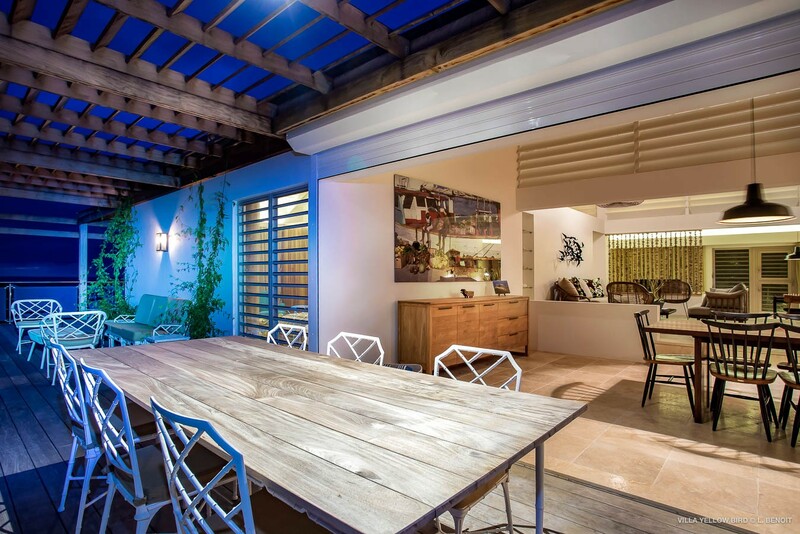 There is a large and country-styled dining room which opens to the gorgeous kitchen. 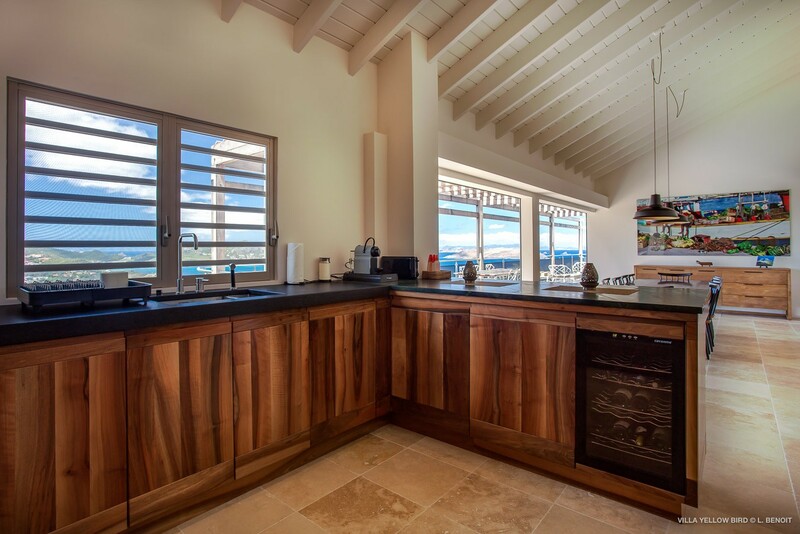 With honey-stained cabinetry and stone countertops, it is furnished with top of the line appliances and is a delight to use thanks to its amazing views outdoors. 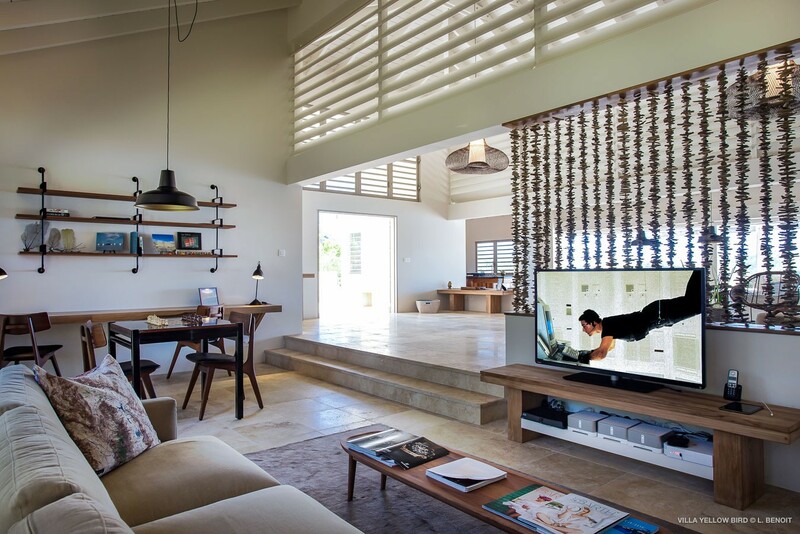 Nearby is the lounge with its excellent style and décor and a few steps away is the sunken living room and media lounge. 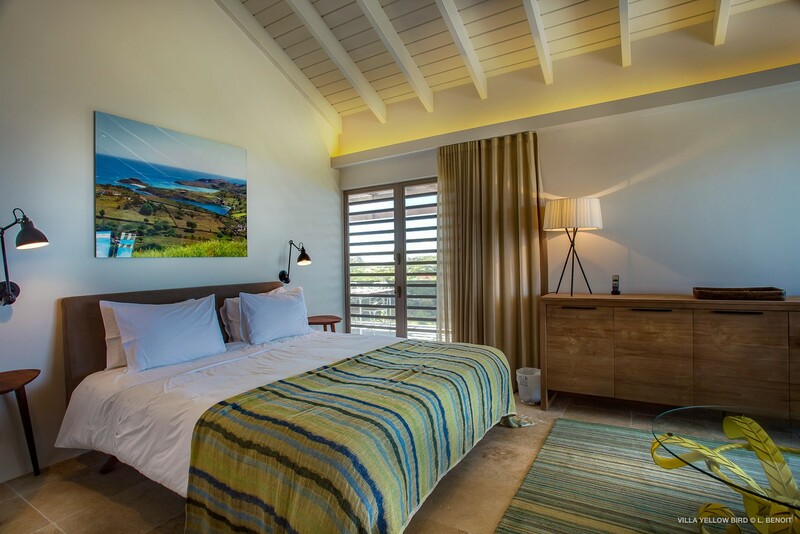 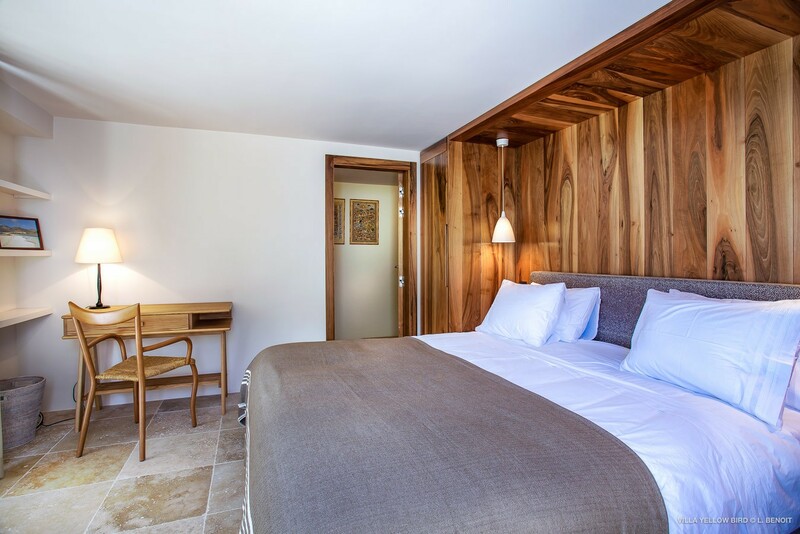 The four bedrooms have the same appealing style with each using a different color scheme but all featuring high ceilings, access to the terrace or views, queen or king beds and luxuriously private, ensuite baths. 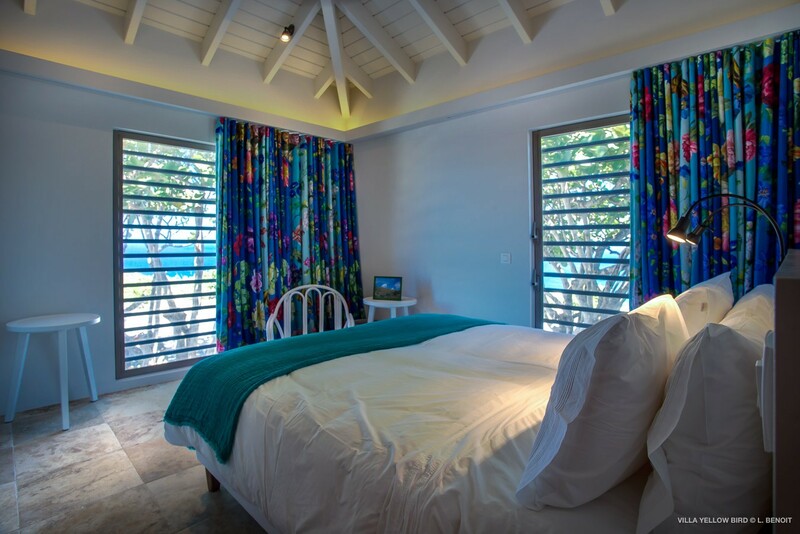 Perfect for a family or group gathering, the Villa Yellowbird will please everyone who visits.